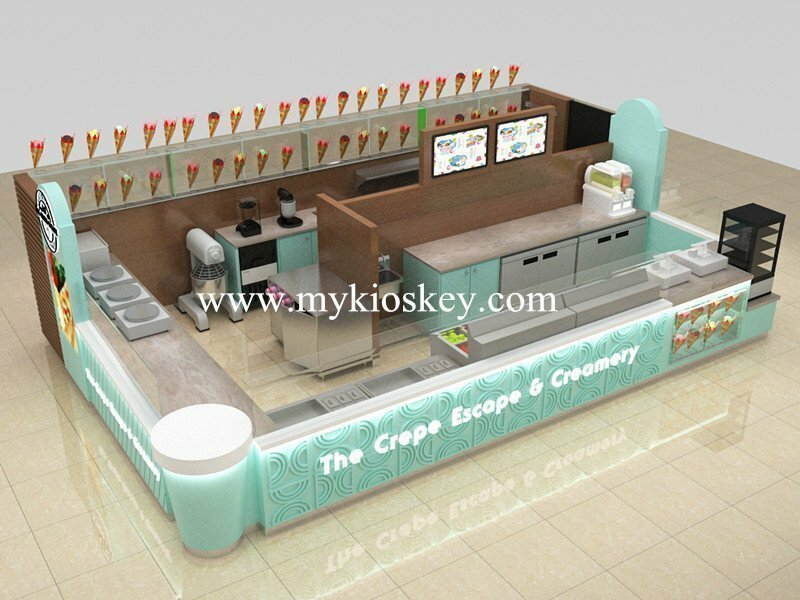 Crepe Kiosk is mall used kiosk designed for bakery crepe business. 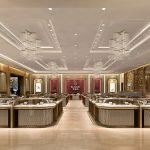 Most of the roll crepes stalls are used and applied for indoor big shopping mall. While some of special unique kiosk design used for public outdoor. 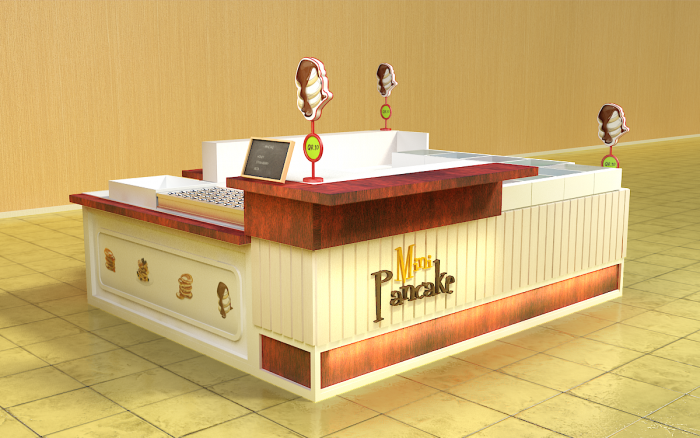 And other crepes shop is designed to be used in large traffic area like train station , airport business center etc. 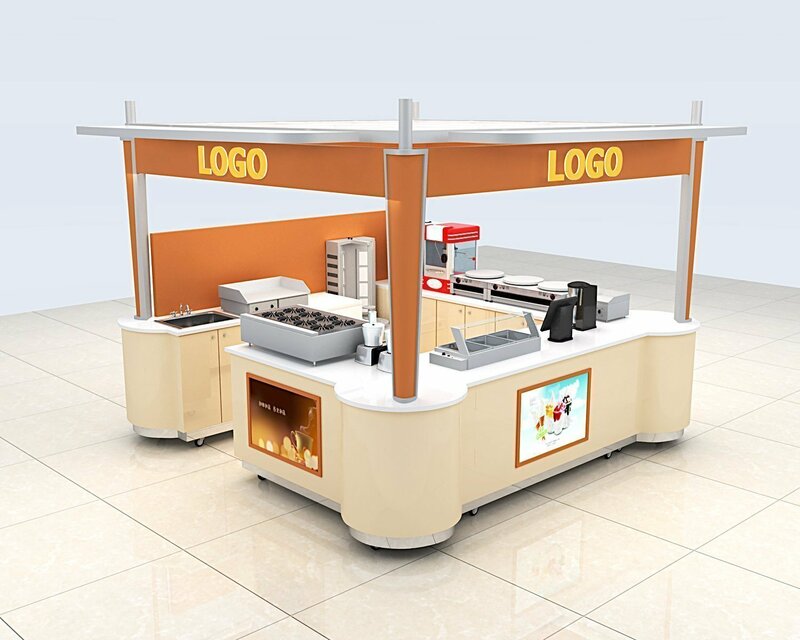 What ever the place used, in order to success in the crepe kiosk business, you must have a great design and high quality materials finished kiosk station. 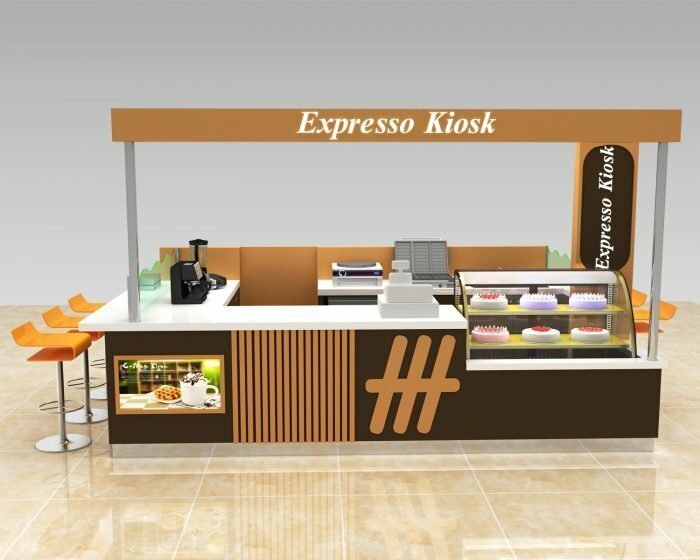 How to start a crepe kiosk business in mall ? 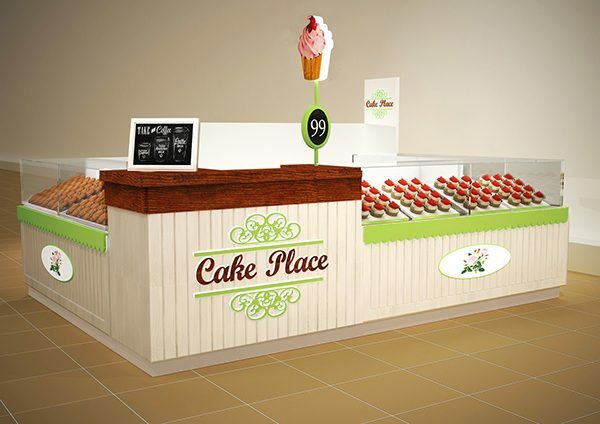 Crepes design for sale – Unique has designed many kinds of crepe stall and finished dozens of projects on it. 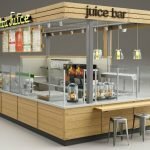 If you want to start a shop for crepes business, or you are looking for modular kiosk design for a franchise business, unique can satisfy your need. 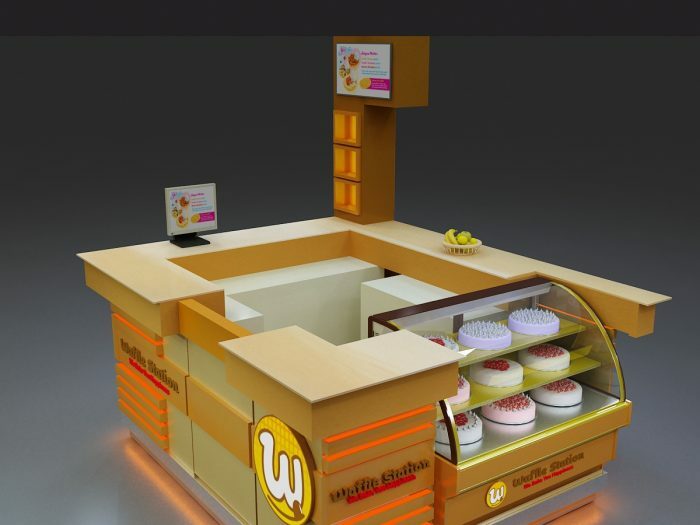 Here below are steps to start a mall used waffle kiosk. go to mall manager office and ask for a lease. submit proper kiosk design with construction drawing for approval. 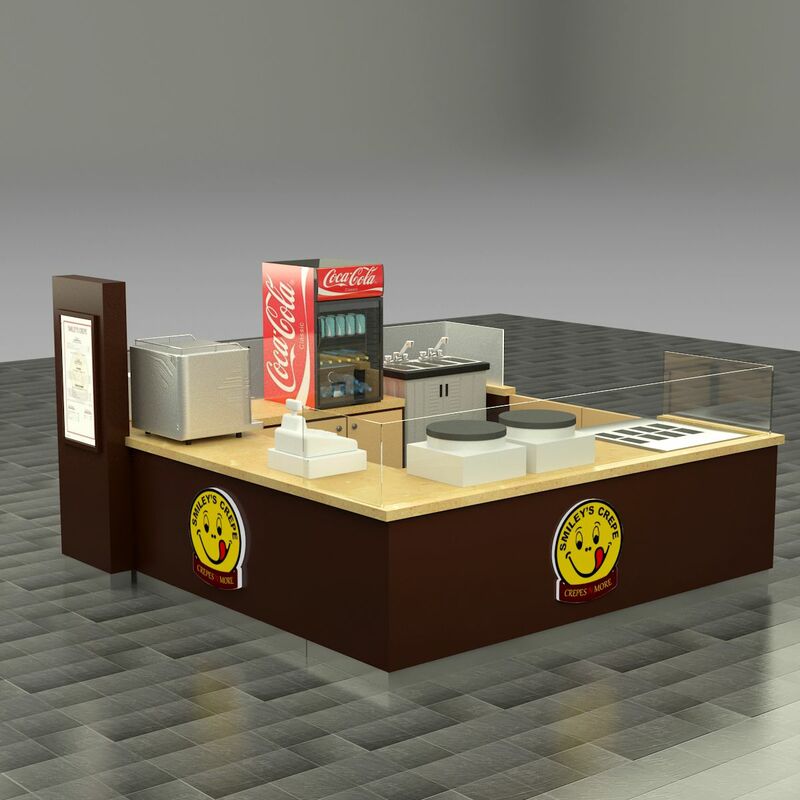 get a reliable kiosk manufacturer to build the kiosk. order equipment that needed in the kiosk. install the kiosk in location. hair workers and do some necessary adverting to start. present good food and good service. 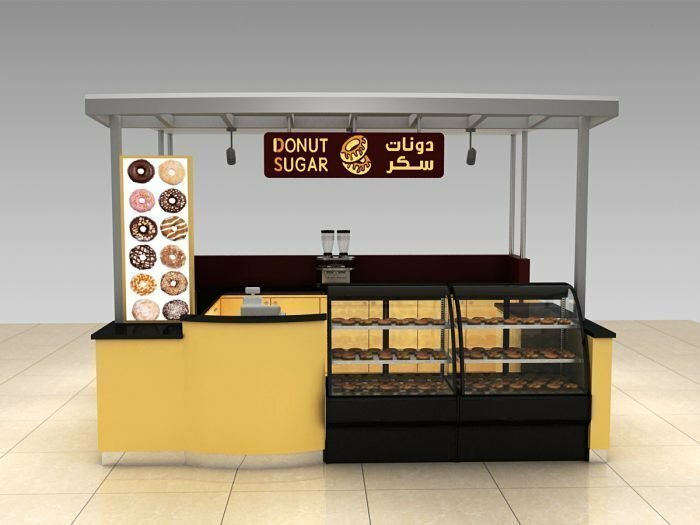 Unique Kiosk is a professional mall kiosk manufacturer specialized in food kiosk and retail kiosk. 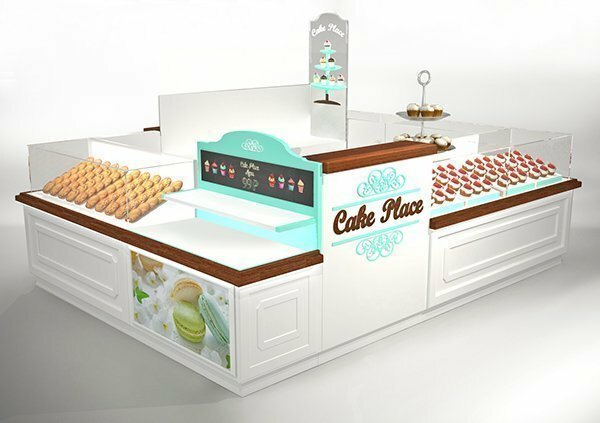 We have a successful design and build kiosks for bakery crepes and waffle cone kiosk. Our kiosk has been installed in New York, Sydney, Brisbane, Chicago, and some other big cities. You can easily find our work in your neighborhood shopping center. Want to get the lasted kiosk design & kiosk price. contact us now ! 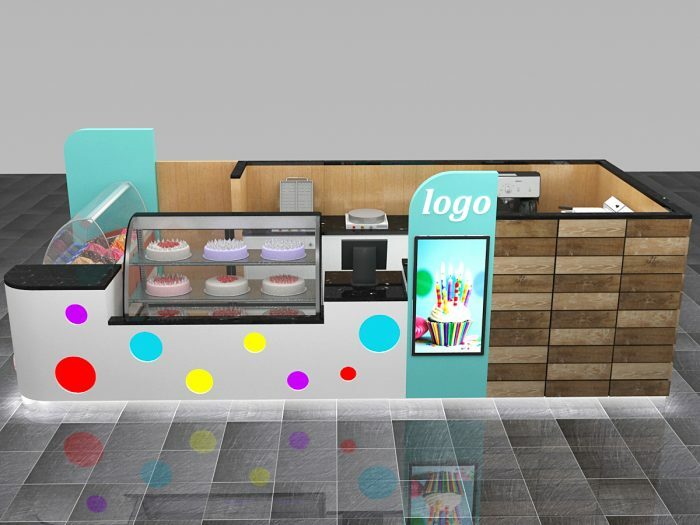 Unique has a talented design team who can design the food kiosk with your own ideas and requirement , no matter you have a big restaurant shop or a small stall to start business. 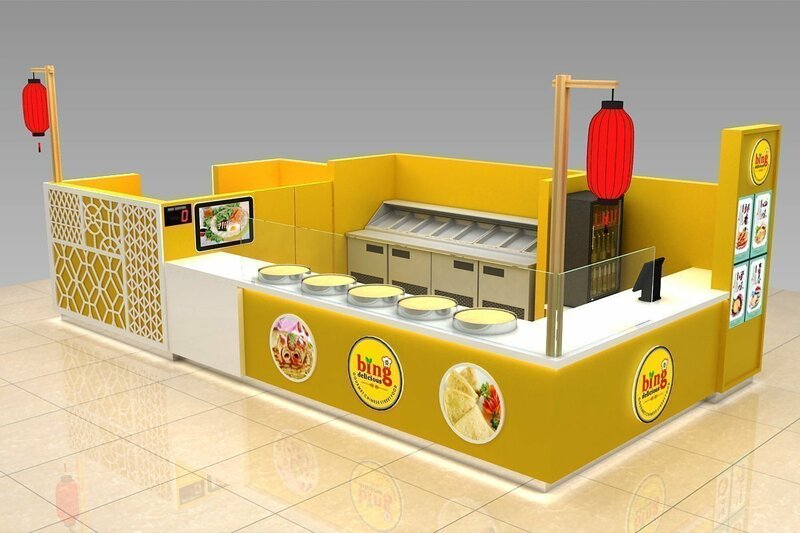 Unique will always provide you a magnificent design with best crepe cart price for you . 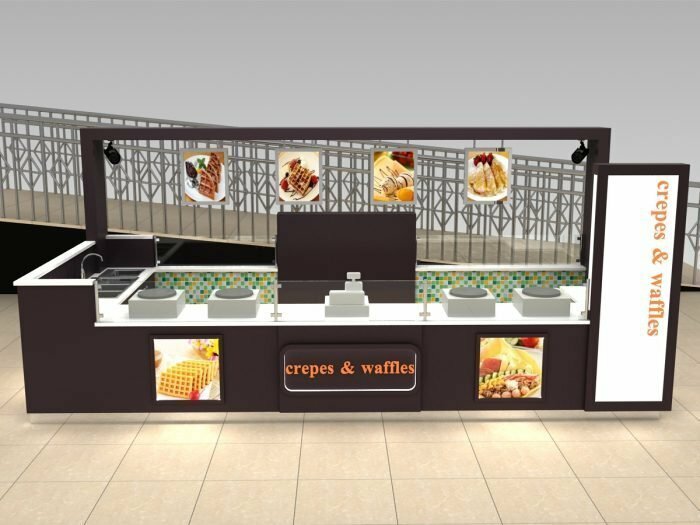 Why the mall used crepe kiosk is a good business? With the growth of the rapid pace of life. More and more people choose fast and quick food. Crepe rolls, Burritos, Taco are becoming very popular. It’s a delicious and easy make. So many people will choose it, even many people will make it at home. It’s the demand that develops the market. So start a waffle and crepe snack is definitely a proved good business ideas. Another reason is the cost of building a crepe stall is much lower compared to the coffee kiosk or other types of food concessions. For example. To start a coffee kiosk is surely a great idea but a good quality commercial coffee machine is not a small investment. 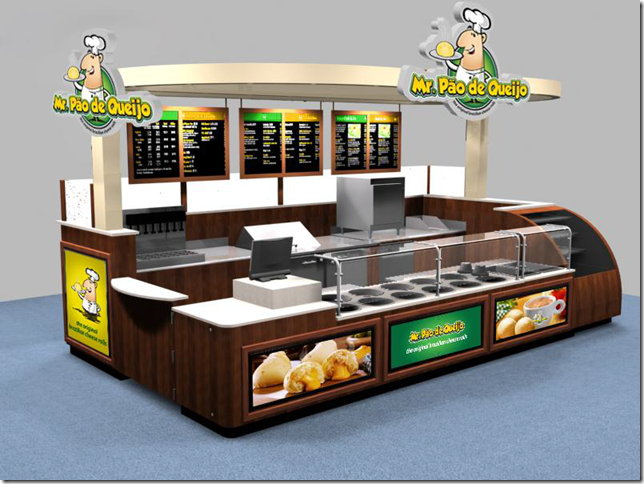 So crepe food kiosk in mall is the great business ideas for the starter as well as franchise vendors. get in touch with us this month, and you will get a better discount.